A SONNET BY A. D. CAMMEYER. Location: /DIGITAL BMG SUBSCRIPTION./DIGITAL BMG SUBSCRIPTION. BMG Magazine is available as a digital download in full colour. We will send you each issue of BMG as it is published, by email. Simply download and enjoy. Thirty four pages of news, views, information and music. 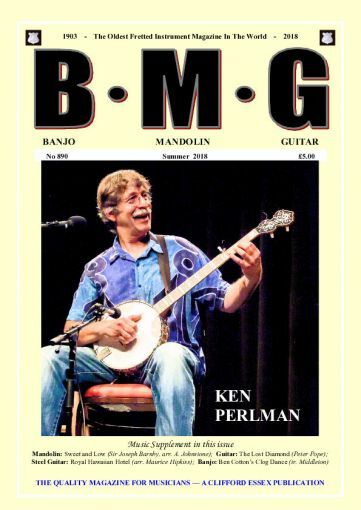 BMG concentrates mainly on acoustic fretted instruments, and contains authoritative articles of interest which will widen your knowledge and increase the pleasure gained from your playing. It is published Quarterly, in March, June, September and December. BANJO BRIDGE. THREE FOOTED. FOUR STRING.